Just about every business that relies on sales has to generate and manage leads. Unfortunately, the amount of time required for each lead can be substantial and most leads will not make a purchase. What if there was a way to increase conversions and do less work? By using marketing automation you can do just that. Automating your daily marketing tasks frees up your valuable time to invest in other areas of the company and increases the chances of converting a lead into a paying customer. Marketing automation allows you to automatically gather lead information, rate their likelihood to make a purchase, send them automated e-mails, maintain a log of notes pertaining to each specific lead, nurture the leads, and use reports to determine which marketing campaigns are the most successful. You may think that automation could never truly be effective in converting leads because it is not personalized. Luckily that is not the case. With marketing automation you can set up campaigns that are tailored to specific leads, and when the lead performs a certain task, it triggers the automation. That could include sending a personalized e-mail about the product they were researching, or thanking them for setting up an appointment through the system. Individual customization is just one of the many benefits of automated marketing, the ability to manage and keep track of leads is also vital. 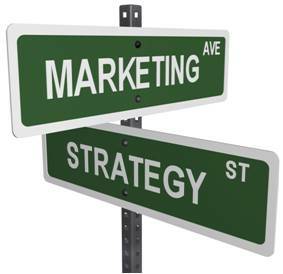 [button type=”success” size=”lg” link=”http://bit.ly/1jfqjtn”]Want to add Marketing Automation to your business? As a marketer, your job is to turn new leads into paying customers. To do this, you must nurture them through the process by getting them acquainted with the product or service and constantly staying in touch with them. When they are ready to buy, you need to be at the forefront of their mind. One of the benefits of marketing automation is that it allows you to set up a campaign to slowly build a relationship with leads over time. For example, you can introduce them to a blog one day and then an eBook a week later. You can also schedule webinars and send online demos. The possibilities are endless and you have complete and total control over it all. No matter how good your lead generation methods are, you will still end up with leads of poor quality. These are the ones that will never purchase from you no matter how hard you push. To save you time and hassle, marketing automation has the ability to rank leads according to their likelihood to make a sale. You can also set up campaigns so that high-scoring leads are sent directly to a live representative to close the deal. The scoring process is set up by you and you get to choose the parameters that classify quality leads, such as the amount of interaction the lead has had with your company or the location of their company. Without automated marketing you would have to do all these tasks by hand which could easily take up the majority of your time. In addition, if you have a lot of leads, some are sure to get left behind due to a lack of time. Automated marketing takes care of all this for you and helps you increase sales at the same time.